The year 2017 marked the second year of Qatar Steel’s Sustainability Roadmap 2020. 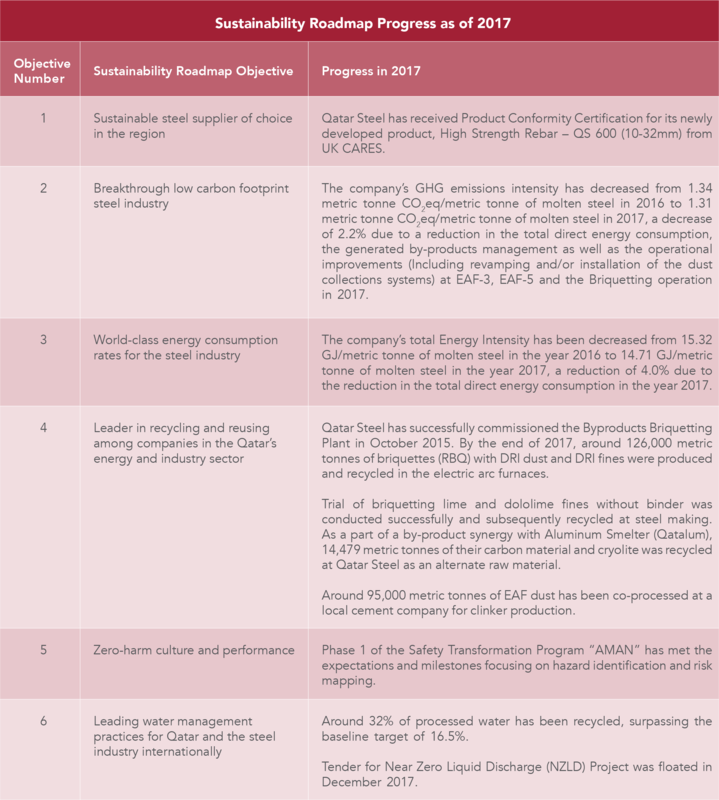 The roadmap was created to outline the performance targets to be achieved from the year 2016 to 2020 and is an important step in Qatar Steel’s sustainability journey. 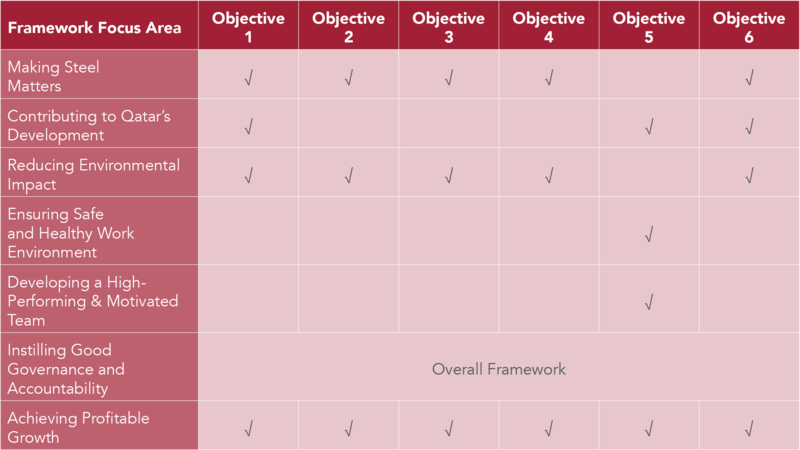 This five-year plan is based on six thematic objectives. The five-year plan is built upon Qatar Steel’s Sustainability Framework.